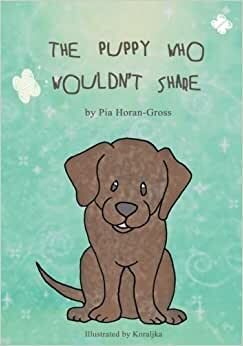 This illustrated story involves a lovely Labrador puppy called Pepper, who needed to learn the important lesson of "sharing," its siblings and their wise mother, as well as Pepper's little puppy friend Polly and many other puppies who like to play and go to birthday parties. Like Pepper, children (and older people too!) find it hard sometimes to learn the much needed lesson of generosity. I hope this book will bring much joy, laughter and enjoyment to many children, young ones and older ones. It is also great bedtime reading for little ones by their parents and grandparents, and for those who are just learning to read for themselves. Illustrations by Koraljka. Author self-publishes in various genres; from poetry to children's books, short stories and soon an autobiography. She is a mother of two and a grandmother of three and one of her favourite things has been story-telling to her children and now grandchildren. In her opinion, stories are a marvelous way to teach important lessons, by making them fun and memorable, as in this present book.